We have been fortunate enough to work on the refurbishment and restorartion of a number of historically important local buildings. 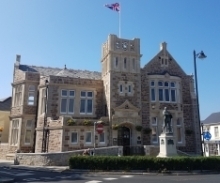 Using traditional techniques, methods and materials we've been trusted to work on a range of buildings from a Library, a Manor House, a restaurant, Schools and Offices, some buildings being Grade 2 Star Listed. 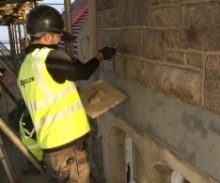 Works undertaken include brickwork, stonework, repointing, lime rendering, slate roof replacement, wet laid slate roof replacement, joinery, redecoration and extensive structural repairs. 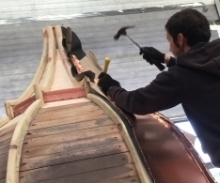 Replacement of existing Copper clad Belfry on Victorian School. All associated timber and decoration work carried out in house.